The original Flambeau styrene box. The A-Series has a distinct stout look with very square corners and high clarity to view contents inside. In the cosmetic industry, the styrene material can withstand hot makeup being poured inside. 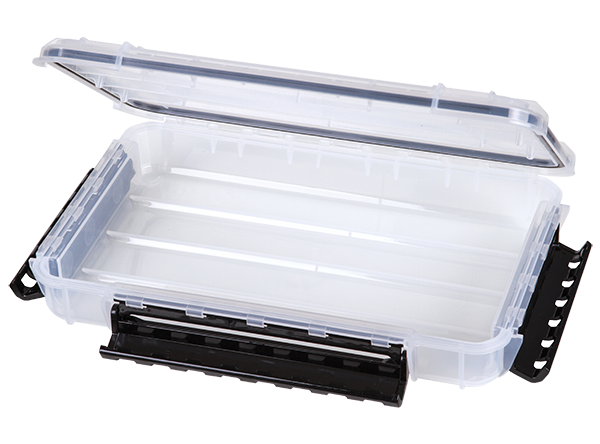 Molded from styrene butadiene methyl methacrylate, this box features transparent clarity and impact resistance. The Precision excels in wet applications with its rustproof hinge. 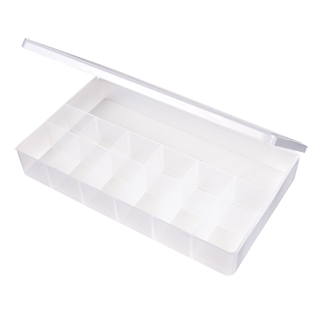 With a slight architectural edge radius & rounded corners, this box is crystal clear like glass and is excellent for merchandising and general display of products. 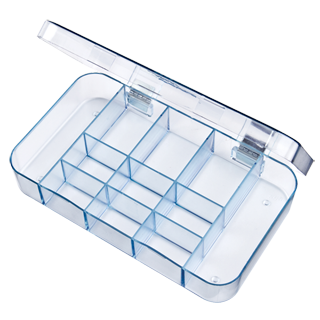 Also features small stacking feet to keep displays neater. Just as the name implies, the Mighty-Tuff is tough! This transparent cellulose propionate material excels in industrial and institutional environments. 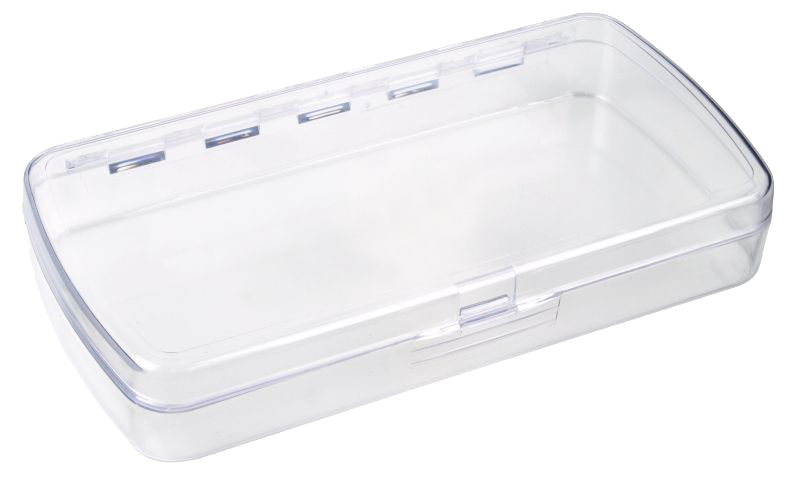 Extra heavy-duty construction makes the polypropylene M-Series boxes tough and durable. 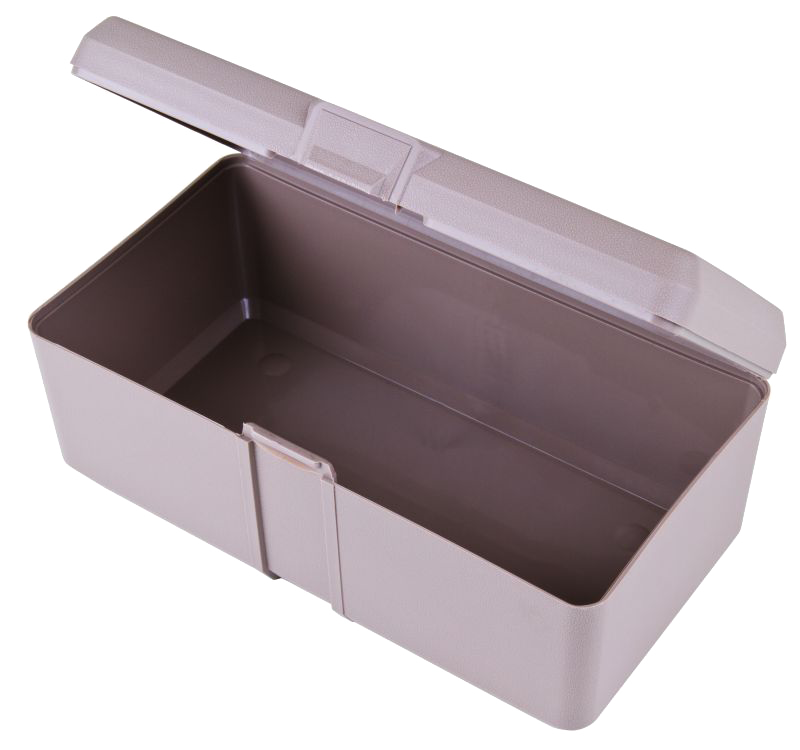 These workhouse boxes feature a heavy-duty, heat-sealed hinge and overlapping lid to inhibit dust. 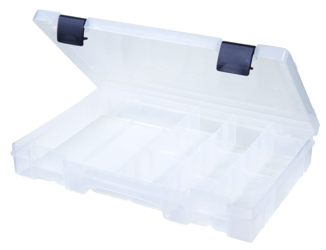 With a living hinge (flex hinge) and dual positive snap lock latches these single compartment boxes are excellent for storing welding rods, wire & cable ties, even dental instruments. Boxes can be autoclaved. 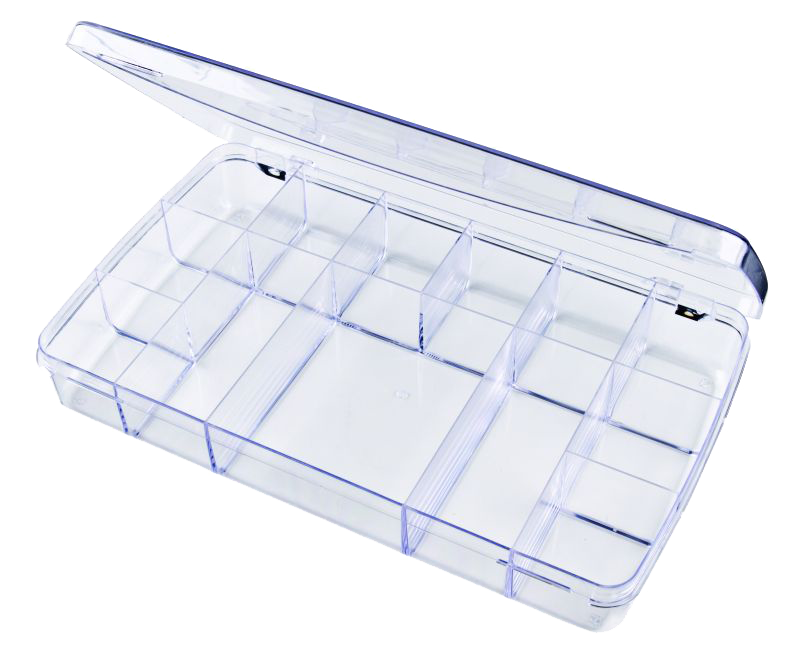 The polypropylene Tuff Tainer Series features a detachable lid and movable dividers that allow you to configure your compartment space to your liking. 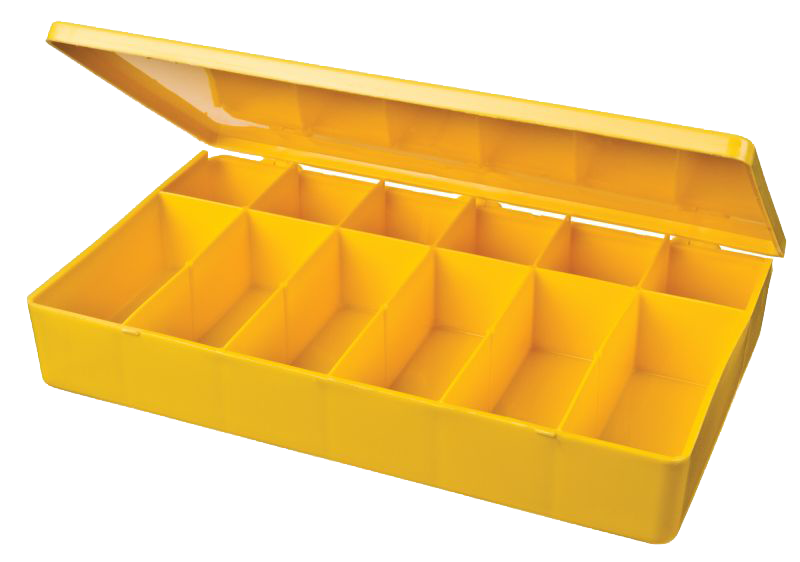 The most popular series in the line, Tuff Tainers can be used for a wide variety of applications. 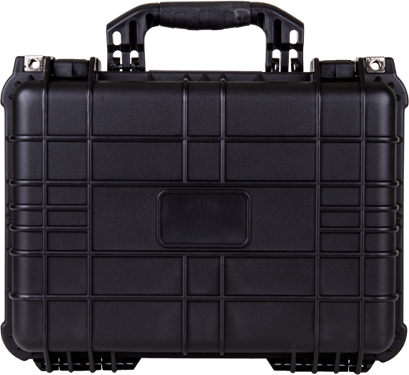 Manufactured with the same great design as the Tuff Tainer Series, but now completely waterproof with a gasket liner and three snap-shut latches. 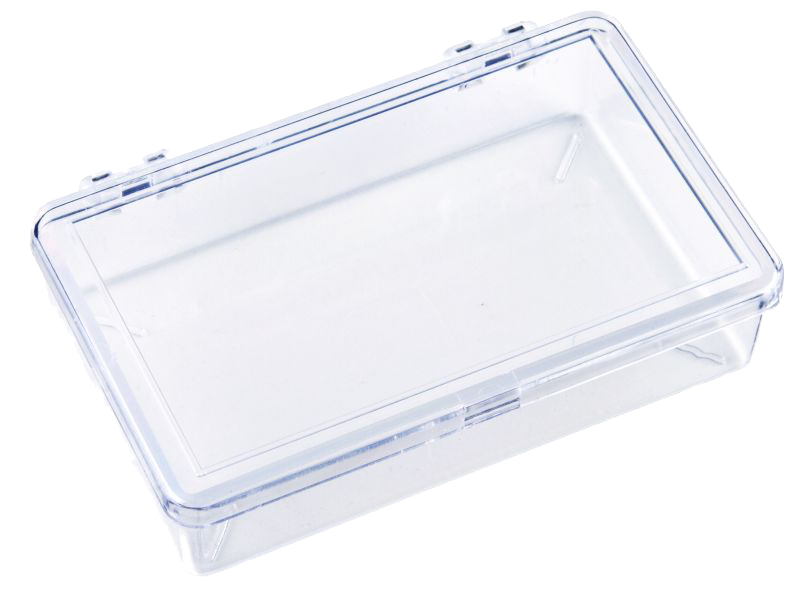 Noted for heavy-duty application, this styrene butadiene copolymer box has excellent impact properties and also maintains scratch-resistant and transparent properties. 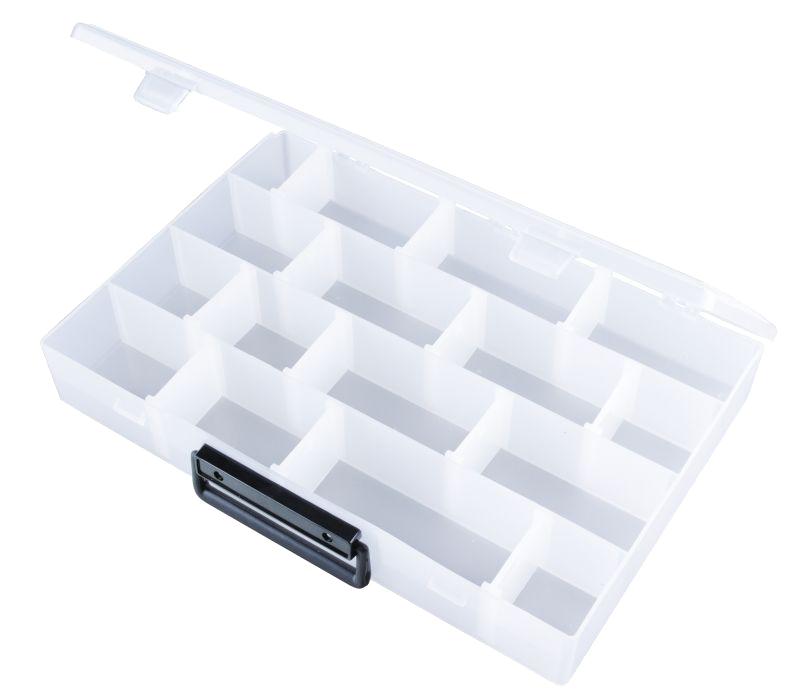 The Infinite Divider System Series is made of polypropylene featuring patented flexibility by allowing each divider to be moved 1/16” (0.16 cm) along the ribbed compartment. 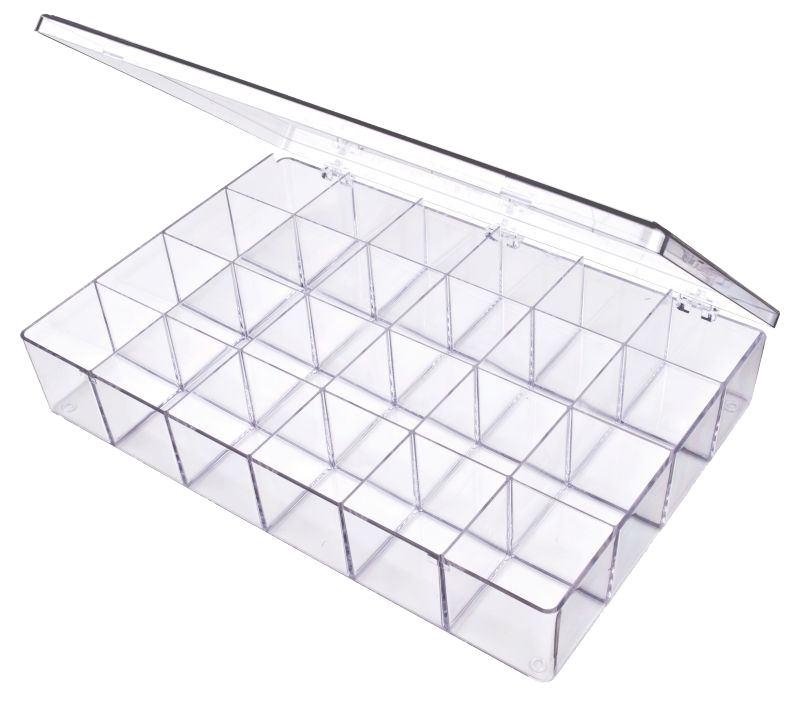 Built with the same durable construction as the popular M-Series, but are made with translucent polypropylene. Perfect for visualizing components within the box.